At first sight All Saints Church appears to be late medieval like many others in North Nottinghamshire. However there are one or two things that do not quite fit that picture, such as the church having a Norman tub Font (which is no longer in use). There is also a fragment of arch at the east end of the north aisle. 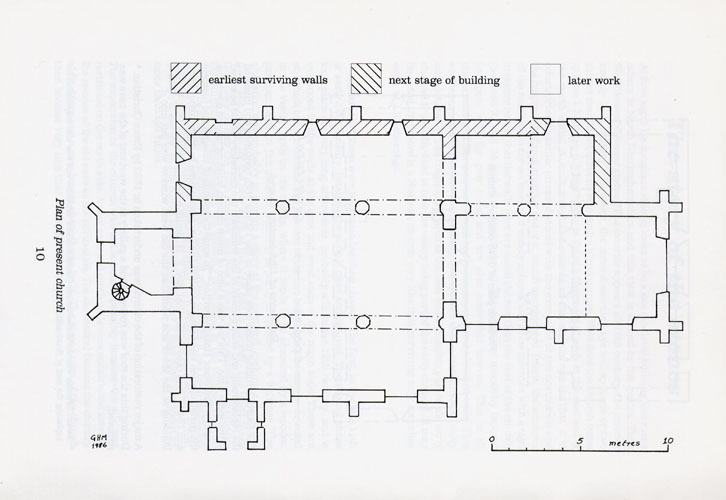 Walking round the outside of the church reveals it is constructed in ashlar (dressed stone) except for the north aisle and fragments of wall at either end of it, which are rendered. Inside, the windows of the north aisle are set deep, widely splayed and are much thicker than the rest of the church, 31 to 34 inches at window level. The walls are tapered and rather uneven. All pointing to characteristic Norman work, with badly constructed, rubble filled walls. This wall appears to be the oldest part of the church possibly a remnant of an early aisle less nave. The fragment of arch at the east end may be part of the early chancel arch with what is now the vestry being part of the early chancel. There is a Norman church very similar to this in Littleborough. There appear to have been four main building phases. 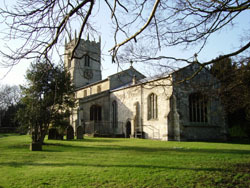 The first being in the late 11th or early 12th century, with the simple nave and chancel. The second phase probably still in the 12th century is evidenced by the walls at the east and west ends of the north aisle. These are still thick but vertical. 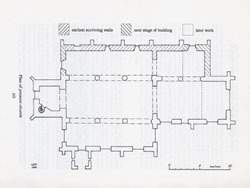 The junction of the two building styles may be detected in the vestry, both on the inside where it tends to be obscured by a wooden partition and on the outside where it is partly concealed by a buttress. The alteration was probably to provide a choir at the east end, the reason for the new work at the west end is unclear. The third phase took place during the 13th century and was a major reconstruction enlarging the building in order to accommodate the growing population of the village. The two centuries after the Conquest were a time of great change when it has been estimated that the country's population doubled and in some areas may have increased tenfold. 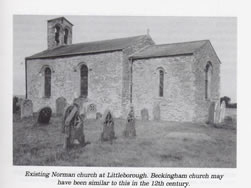 The church was extended to the south with a new nave and south aisle being constructed, leaving the residue of the old nave as the north aisle. The old chancel became the chantry of St Mary with a new larger chancel being built. 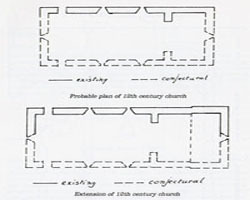 The ground plan of the church then became very like that of the present day. 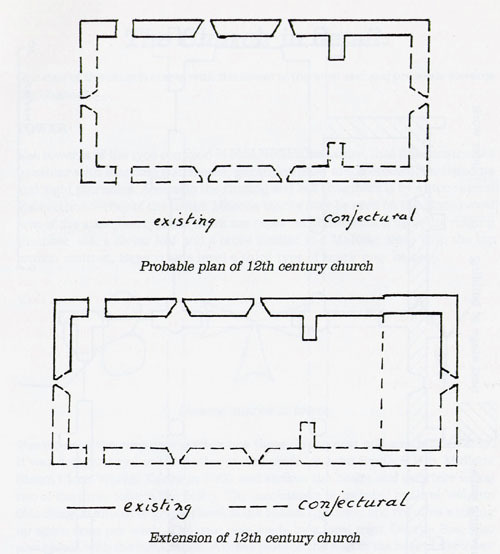 The fourth building phase took place in 15th and 16th centuries involving the replacement and enlargement of the windows, the clerestory would be added at the same time. This was a time of much church building up and down the country. In his leaflet dated 1972, the Revd. F. Smith gave the date of 1520 for the building of the tower and stated that the old west window was put into it. A major restoration of the church was undertaken in 1892 by Ewan Christian, during which the roof was renewed and a gallery at the west end of the nave was removed. The floor was lowered and relaid and new seating was put in, replacing the old box pews. Ewan Christian was the Ecclesiastical Commissioners architect and was also responsible for replacing the roof at Southwell Minster twelve years earlier.